Ever since Mycenaean graves were uncovered in Aidonia in Corinthia in the 70s, locals and archaeologists have had to contend with the damage wrought by antiquity thieves. The land behind Giorgos Costopoulos’s home in Aidonia in the region of Corinthia is strewn with antiquities. 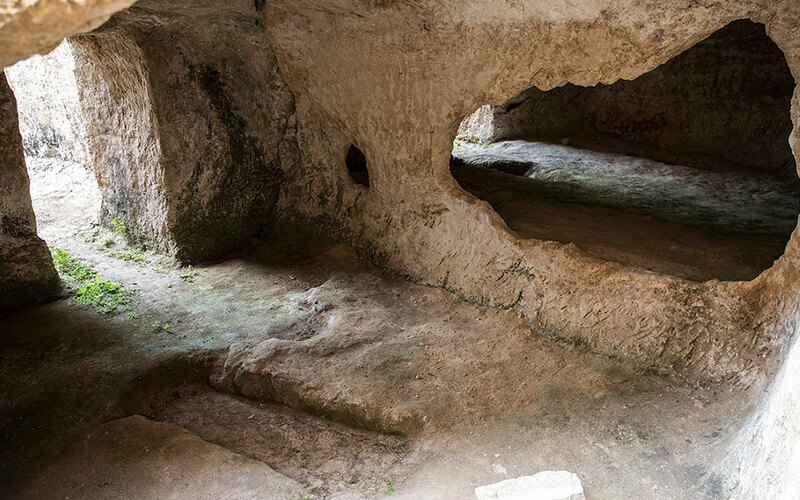 Decades ago, grave robbers pillaged the Mycenaean-era cemetery on the low hill east of the village, digging tunnels, boring into the beehive graves and sending their loot – seal stones and gold rings – abroad. Their identities have never been discovered, but their activities saw the locals branded as antiquities thieves. 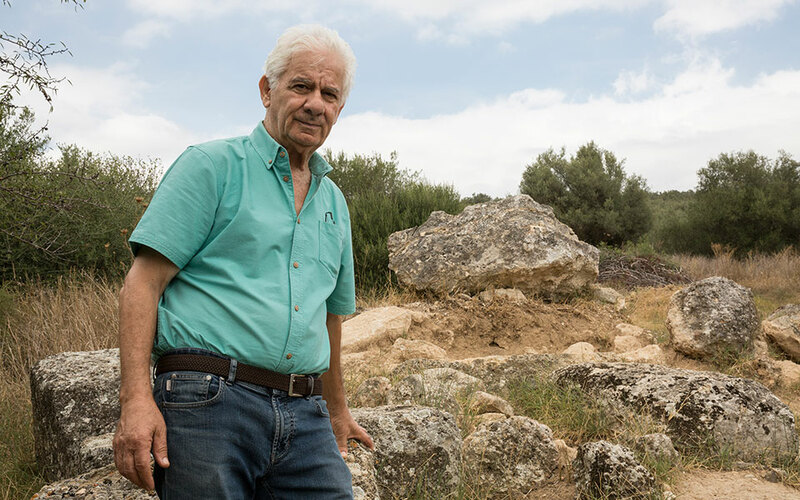 “Antiquities need to be respected to be brought to the surface, to bring tourists who want to see our history,” says Costopoulos as he shows us around his farm. 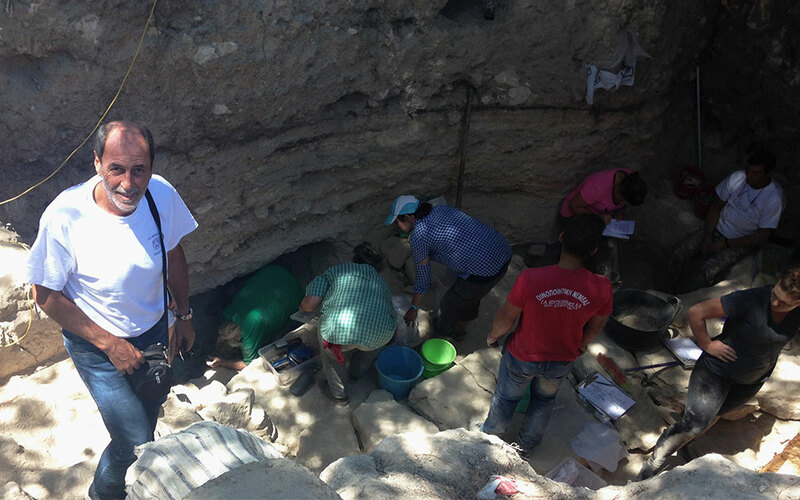 He is one of several residents at Aidonia helping a team of archaeologists that has been conducting systematic research for the past two years in the area, bringing new treasures to light. “The presence of the archaeological service prevents any illegal excavation attempts. Antiquities thieves tend not to go to places that are getting a lot of attention and where the local population is also on alert,” the head of the Aidonia excavation, Dr Dinos Kissas, an assistant professor of classical antiquity at the University of Graz in Austria, told Kathimerini. Giorgos Costopoulos gave up a plot of land so the archaeological service could carry out excavations. Dr Dinos Kissas (left) with members of the research team at last year's digs in Aidonia. Indeed, antiquities thieves have appeared in Aidonia during periods when there were no excavations being carried out. A rescue dig was carried out in 2002 after authorities were alerted to the presence of suspected looters, as was the case in 2007 and 2011. Greece’s Department of Antiquity Smuggling is often called to investigate new cases in Corinthia, such as the recent arrest of a 46-year-old currant producer from Nemea – which neighbors with Aidonia – who was found in possession of a Roman-era marble statue of Aphrodite that had been stolen from storage at the Museum of Prehistoric Thera on Santorini. 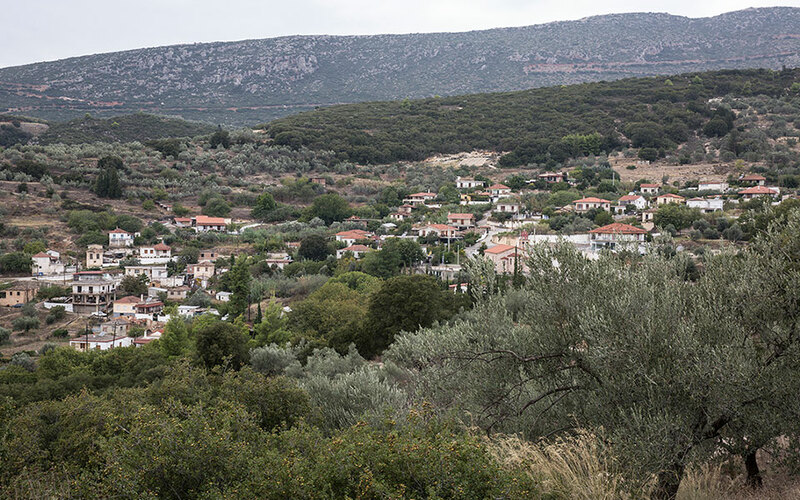 Kathimerini traveled to Aidonia to examine how a team of archaeologists is trying to win over the trust of the locals so that they can protect the region’s cultural heritage. For decades, the residents of Aidonia had no idea of the treasures that lay beneath their feet. 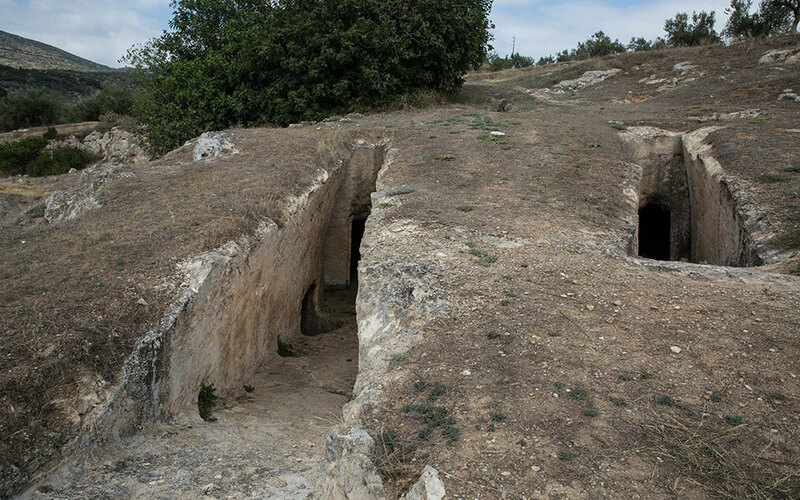 Nemea Mayor Constantinos Kalantzis says that a hill containing numerous Mycenaean graves was known as the “pig cave” hill because farmers would keep their pigs there, where it was cool. Then at some point in the 1970s, a resident sowing grain on a small plot on the hill, saw his donkey and plow disappear down a hole that turned out to be the collapsed roof of a beehive grave. News of the existence of such a grave and the booty it may contain spread like wildfire, alerting the looters. The first excavation at Aidonia was started in 1978 by archaeologist Kalliopi Krystalli-Votsi, under the supervision of Constantina Kaza. One grave she uncovered contained nothing but a man’s jacket, an empty packet of cigarettes and several picks. She was too late. “I immediately called in the best technicians from the excavation at Argos and sent them to Aidonia, where we experienced a spate of pillaging in 1977. It was a spate that could be curtailed if radical action was taken at once,” she told Kathimerini back in 1994. That first excavation lasted until 1980 and of the 20 graves that were uncovered, almost all had been thoroughly looted. On April 4, 1993, the New York Times published an article about a rare collection of Mycenaean jewelry that was due to be up for auction in Manhattan by art dealer Michael Ward, with a starting price of $1.5 million. 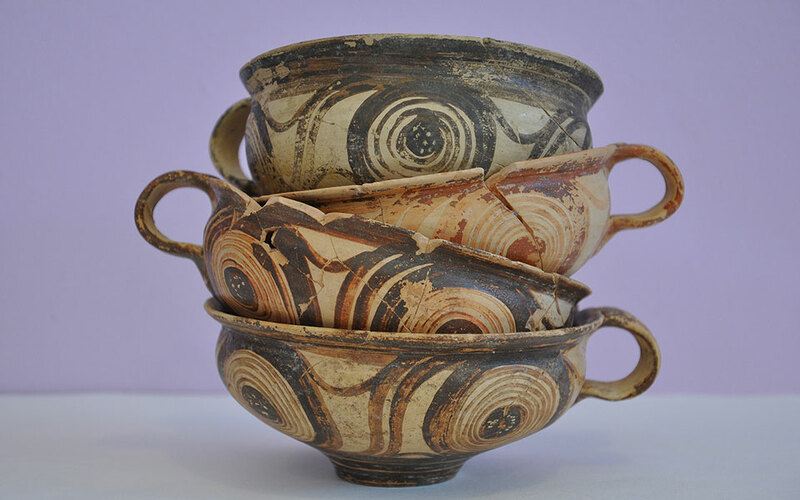 The article, and the photographs that went with it, immediately caught the attention of American archaeologist James Wright, who had worked with Stephen Miller at the Nemea excavation since 1974 and was well aware of the looting that had taken place in the area. “Art dealers in Berlin, Munich, Basel and New York were most likely working at the time with antiquities smuggling networks to acquire objects from Greece and Turkey,” Wright told Kathimerini, speaking by telephone from the United States. After seeing the article in 1993, Wright immediately notified the Greek Culture Ministry in Athens of the planned auction, as had Boston University Archaeology Professor Ricardo Elia. Greece’s consul general in New York visited Ward’s gallery and, without revealing his capacity, bought the auction catalogue and sent it to Athens. 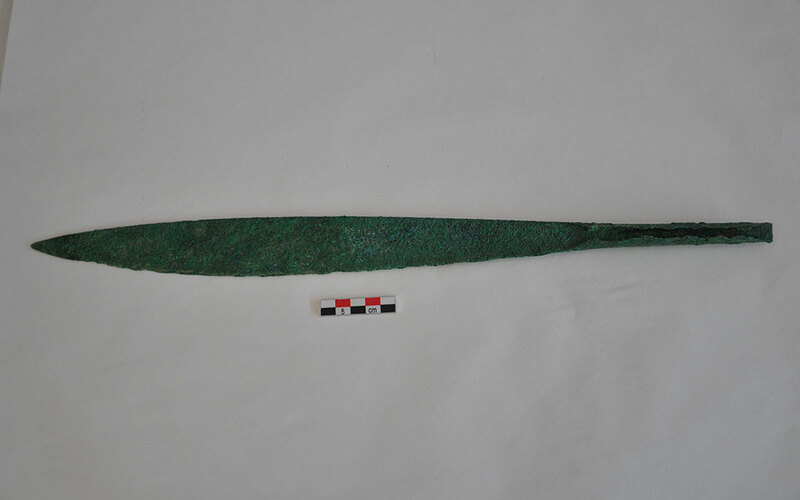 The objects were soon identified by a team of Greek archaeologists. 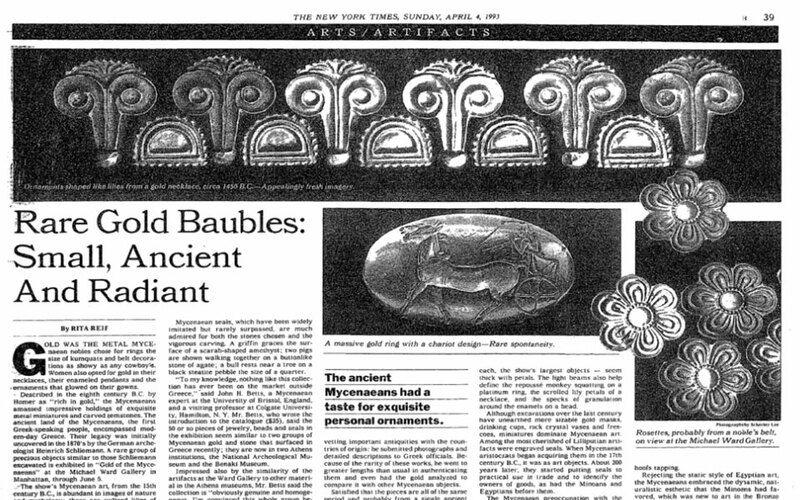 The New York Times wrote about an auction of Mycenean artifacts in April 1993. One of the gold rings uncovered in Aidonia that was put up for auction in New York. On May 14, 1993, a law firm representing the Greek state demanded the antiquities’ immediate return. “It is claimed that the grave (from which the objects came) was likely near Thebes. The principals believe it to be a looted grave in Aidonia,” the firm wrote to Ward in a letter that was seen by Kathimerini. The American art dealer responded by citing a letter that had been sent to the Greek archaeological service in 1992 with photocopied photographs of the objects in question, asking whether there was any information concerning these specific antiquities. The Greek authorities wrote back to the law firm (that had not identified itself as representing Ward), saying that they did not know where the objects came from or whether they had gone missing from a museum. 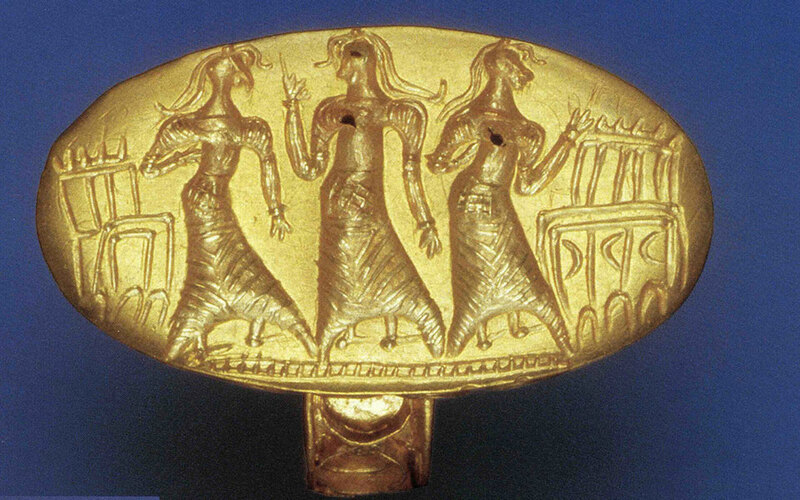 If it was proved that they had been looted, Greece had a right to claim them. Ironically, Ward was a member of an advisory committee to US president George Bush Sr at the time for cultural heritage claims from other countries. Seven months after this exchange of letters, the matter was settled out of court. The objects were donated by their owner to a cultural foundation for the preservation of Greek cultural heritage in Washington on the condition that they would be repatriated in 1996. The collection’s history from grave to auction was conveniently hushed up thanks to the donation, and to this day it remains unclear. One story says that they were exported illegally to Germany or Switzerland, hidden in crates of fruit. Nevertheless, the case cast a shadow over the 200-odd residents of the small Corinthian village. Aidonia was listed as a protected archaeological area in 1995 and when Kissas became Corinthia’s ephorate for classical antiquities in 2007, he reached out to the locals with the help of Mayor Kalantzis, holding public discussions and briefings at city hall. “These presentations allowed the people to understand how important it was to protect the area. The area gets poorer when its wealth is taken abroad,” says Kissas, explaining that the aim of his initiative was to build trust with the locals and to convince them that the archaeological service’s presence is about protecting and showcasing the finds, not taking them away. In 2014, Kissas invited Dr Kim Shelton, a professor at the University of Berkeley for what was at the time a pilot effort to map the area and conduct a rescue excavation. What they discovered was that the looters had been a lot more prolific than originally thought and the problem was widespread. The Ministry of Culture in 2016 approved a five-year research program headed by Kissas and with Shelton’s cooperation to excavate, protect and showcase the archaeological site of Aidonia. The multidisciplinary team includes bio-archaeologists, geo-archaeologists and conservers. “It is a major and important effort,” says Kalantzis, who has given up a piece of his land so that it can be excavated. 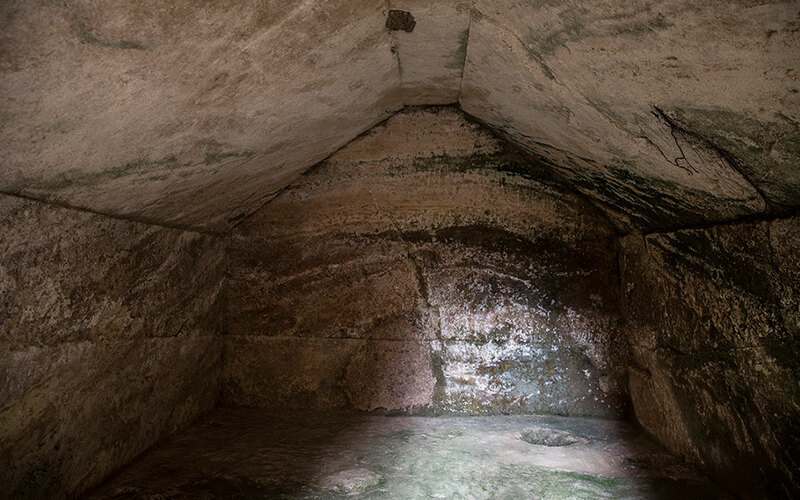 It was there that a beehive tomb – one of the biggest found in the area – from the early Mycenaean period (circa 1650-1400 BC) was fully excavated this summer and found intact, containing bronze knives, seal stones, jewelry, and vessels, among other artifacts. The repatriated looted articles, known as “the treasure of Aidonia” and other finds from the area are on display at the Archaeological Museum of Nemea. Archaeologist Dimitris Sakkas, a member of Kissas’s research team, showed us around the exhibition as tourists admired the display of objects returned to Greece in 1996. New discoveries from last year's excavations in Nemea. “The entire village was blamed, even though no antiquities thieves have ever been linked to it,” says Kalantzis, lamenting the bad press Aidonia has received at times. “We didn’t have any names; we didn’t know who they were,” says Anastasia Costopoulou, who had worked at the first official dig conducted by Krystalli-Votsi in in 1978. Because of her small frame, Costopoulou was sent into the tombs first in order to ascertain the extent of the damage wreaked by the grave robbers. She tells us the story of an elderly local who had found a necklace in his field, that had probably been left behind by grave robbers. He held onto it for awhile, until a relative was involved in a car accident. Believing that his having the necklace had brought bad luck to his family, he turned it in to the archaeological service. It was the kind of superstition that often arises when people are closely connected to historical artifacts. “They even came from Athens to steal our antiquities,” says Anastasia’s brother, Giorgos Costopoulos. This special report was first published by Kathimerini newspaper.